Drives, implements, reports and monitors performance targets as part of the global (or) local unit P&L (financial, productivity, investments, customer satisfaction, operational excellence, etc.). Runs the day to day Service business to ensure profitable growth and improvement of Service productivity. Implements agreed delivery and performance standards to ensure consistency in quality and customer satisfaction. Executes the (global) service and delivery sales channel strategy within the local unit. Implements productized Service offerings and materials for marketing purposes and invests in Service Sales to increase market penetration. Builds sustainable customer relationships to ensure local client growth, satisfaction and retention together with Sales. Supports Sales resources in customer meetings. Drives consistent development of processes and practices based on customer feedback (Net Promoter Score (NPS)). Invests in improving the quality of existing Service products and in developing new Service products to expand the portfolio in line with global direction. Is responsible for health and safety of the local Business Unit/Product Group Service team. Enforces a Service safety and integrity culture throughout the Service organization. Ensures that the area of responsibility is properly organized, staffed, skilled and directed. Guides, motivates and develops direct and indirect subordinates. Improves service availability, provides training and develops capabilities and competencies. 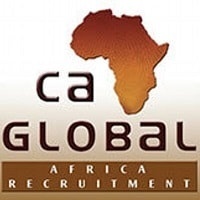 Please apply directly, by clicking on the ‘apply button’ at the end of this advert and also you can visit www.caglobalint.com for the latest CA Global jobs.